Ocean View Flowers has been in business for 25 years, and while it recognizes its history, this flower farm is committed to remaining nimble. The beautiful flower fields of Ocean View Flowers. Located in the Lompoc Valley, 50 miles northwest of Santa Barbara, Ocean View is taking a multi-pronged approach to increasing quality and productivity, and expanding efficiencies. 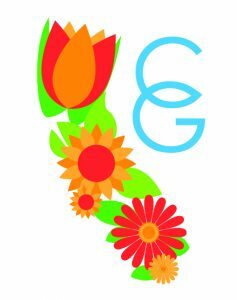 Ocean View Flowers has added two solar energy projects, expanded into new flower varieties, improved yields and flower quality, and invested in lean business principles, according to President John Donati. In 2015, Ocean View invested in a 560 kilowatt ground-mount solar energy system to reduce its overall impact on the environment and offset energy costs. In 2017 it added an additional 1.1 megawatts. Energy from the solar panels cover the farm’s cooling and refrigeration needs and offset electricity costs farm-wide an in its business offices. Ocean View Flowers invests in solar technology at the farm. The green energy approach fits well with Ocean View’s commitment to sustainable farming practices. A forward-thinking nature also applies to Ocean View’s selection of flower varieties to grow. Donati says his team is constantly looking at new varieties that appeal to consumers. “And we’re nimble with our color mix to reflect the trends for the coming year,” often basing selections on the colors that Pantone and other trend forecasters identify as leading hues. It’s one thing to grow the right flowers, but getting more flowers to market to meet consumer demand is an entirely different issue. That’s where Ocean View’s efforts to improve yields come in. Donati explains that they’ve been able to amplify yields by growing in three areas: the Lompoc Valley, the low desert south of Palm Springs and the high desert near Bakersfield. 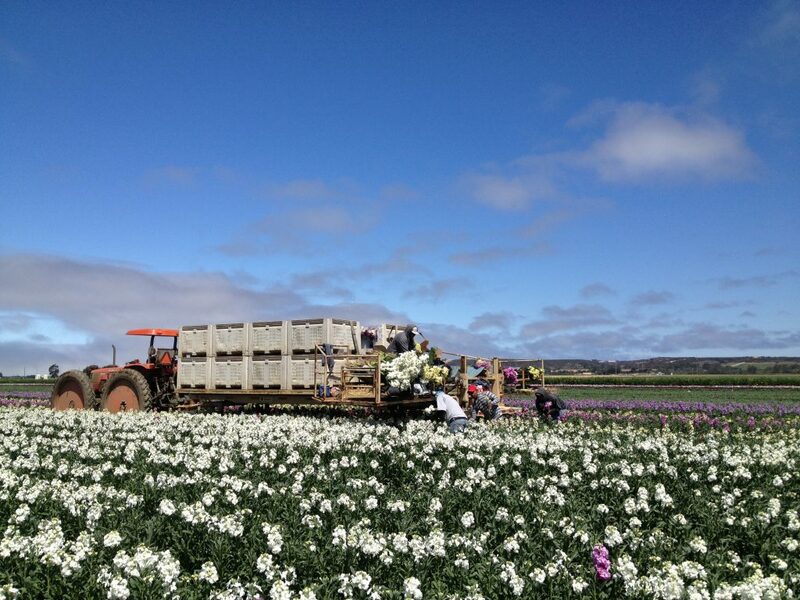 Acres of flowers are being harvested more efficiently then ever at Ocean View Flowers. By growing in different regions at different times of year, Ocean View can take advantage of the best seasonal growing conditions. Better conditions mean more flowers – consistently. Ocean View first invested in lean business principles nearly a decade ago and that commitment continues today, literally transforming how it does business. Ocean View’s lean efforts include the addition of harvesting trailers to reduce the labor required of field employees, financial incentives for employee productivity and a host of initiatives to reduce the number of steps or motions employees in any department take. Ocean View Flowers has improved its capacity and quality controls through its focus on going lean. 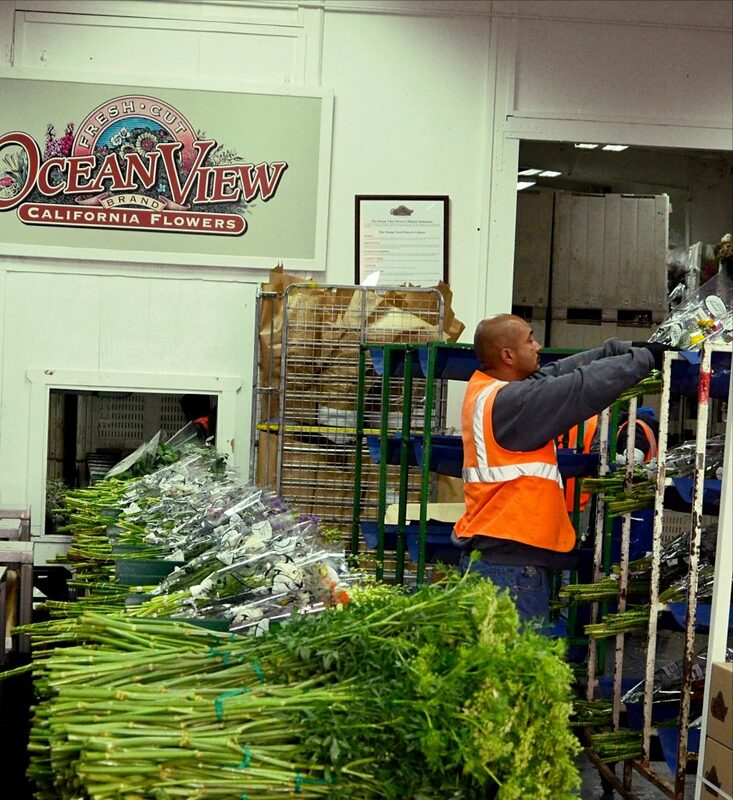 Most recently, Ocean View added a second line in its packing department to help reduce the number of motions required of packing employees and optimize the flow of flowers to those who are the last to touch the blooms before the leave the farm. Together, all of these steps are keeping Ocean View on the cutting edge, and keeping customers supplied with spectacular blooms all year long.